Looking for perfect groomsmen gifts? 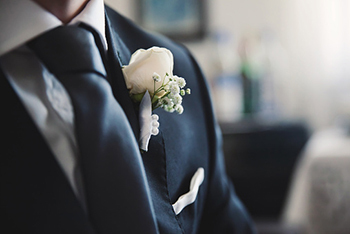 We’ve got a wide array of personalized gifts, ideally suited for all the men standing on your side for your big day. Engraved gifts are a great way to say thank you and show how much their friendship has meant to you! With our fantastic selection, you can pick the same gift for everyone or tailor your gifts to match the personalities and hobbies of each one individually. You can even find the perfect groom gift with us, giving him a gift on your wedding day that he can treasure forever. We have everything from cufflinks, money clips to cutting boards, all ready to be monogrammed, engraved and personalized. We also feature popular groomsmen gifts like flasks and bar glasses, perfect to create a custom bar for your friends! Tailoring your presents to their tastes and likes will add a special touch. Cutting boards or personalized utensils for the culinary perfectionist, drinkware and bottle openers for the beer connoisseur, even custom tees and golf balls for the sports nut! We have all the items you can imagine to put together the perfect gifts for all of your bridal party, even for the groom gift! With a huge selection of products and a fast turnaround time, Frederick Engraving is the perfect place to find the groomsmen gifts you’ve been looking for. Custom personalization is only an online order away, so start shopping now and get creative. We have something for everyone and you’re sure to find the gifts that your groomsmen will use and appreciate for years to come!